Apparently moviegoers were simply not interested in meeting anyone named Dave. Dave‘s poor performance gave two other entries plenty of room at the top of the charts. 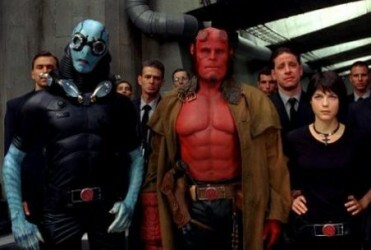 Hellboy II: The Golden Army earned approximately $11 million more than the original 2004 film. The sequel’s $34.5 million haul also narrowly edged out last week’s winner, Hancock, and gave director Guillermo del Toro a first place berth. Meanwhile, the Journey to the Center of the Earth‘s $21 million was good enough for third place. For theatergoers, the Fourth of July holiday has come to mean fireworks, barbecues….and now Will Smith. This past weekend, the powerhouse’s latest blockbuster, Hancock, took in over $62 million giving Smith his eighth straight #1 debut. In total, the Sony Pictures production grossed nearly $104 million during a 5 1/2 day period. In addition to being Will’s second-best opener ever (I Am Legend set his record), Hancock was the actor’s fifth movie to reach first place over the same holiday weekend. (Men in Black, Men in Black II, Independence Day and Wild Wild West were the other four.) The Peter Berg film also became the third best July 4th grosser behind Transformers and Spider-Man 2. What was being billed as a huge comedy showdown turned out to be a pathetic fight. The debut of Get Smart easily outperformed Mike Myers’ live-action return to nab the #1 spot this past weekend. 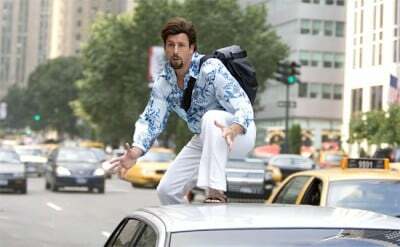 Smart, starring Steve Carell, Anne Hathaway and Dwayne Johnson, picked up $38.6 million over the past three days - nearly $20 million more than The Love Guru. The big-screen adaptation of the ‘60s television series also averaged $9891 per screen, over twice as much as Guru ($4617) did.